The five organizations SustainableEnergy (SE), Suswatch-Kenya, Uganda Coalition for Sustainable Development (UCSD), Tanzania Traditional Energy Development Organization (TaTEDO)and the International Network for Sustainable Energy (INFORSE),organized in May the conference ‘Implementation of the Paris Agreement in East Africa – emerging opportunities, issues and challenges 3 years down the road’. 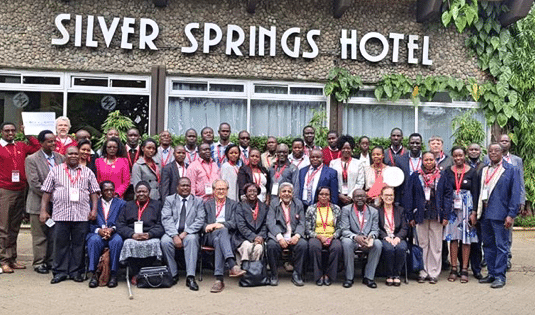 The conference was held in Nairobi and had speakers from civil society, national and local government, as well as regional institutions from Uganda, Kenya, and Tanzania. The conference marked the end of the project Promoting the Implementation of the Paris Agreement in East Africa(PIPA) that ran from January 2017 to June 2018. The project applied an approach of mobilizing CSOs from 3 countries into national coalitions that jointly sought to influence the national governments. The proposed solutions focus on linking poverty reduction to the Paris Agreement by emphasizing the urgent need for stronger national determined contributions (NDCs) that include local low emission solutions to increase energy access and improve livelihoods in rural areas. The conference provided an opportunity to follow-up on the recommendations and discuss both progress and opportunities as well as challenges for the implementation of ambitious and poverty oriented NDCs. In relation to the conference the 5 main partners met to conduct an outcome harvesting session looking at perceived achievements at national, regional, and international level. The session opened up for a discussion on where and how the project has contributed to significant changes and where less than expected had happened. It became clear that many of the outcomes were related to the national coalitions and the relationships established with the relevant national authorities. Also, it was pointed out, there has been a change in the relationships among participating CSOs in the 3 countries. More effective sharing of information now happens and close cooperation on joint initiatives including on climate finances within civil society in the 3 countries takes place more frequently. On the other hand, it was a challenge to verify outcomes in relation to contributions to concrete policy changes. However, it was concluded that the project has established a good position for influencing the national reviews of the NDCs that are now just starting. The PIPA project and the similar ACE project in West Africa are currently both being evaluated by an external consultant. The evaluation report is expected to be published in September 2018.